Wildlife from Zambia. Game Rangers International Lilayi Elephant Nursery. It seems when in Zambia, you just throw your wishes out into the universe. Each day we did this and each day most every wish was fulfilled. 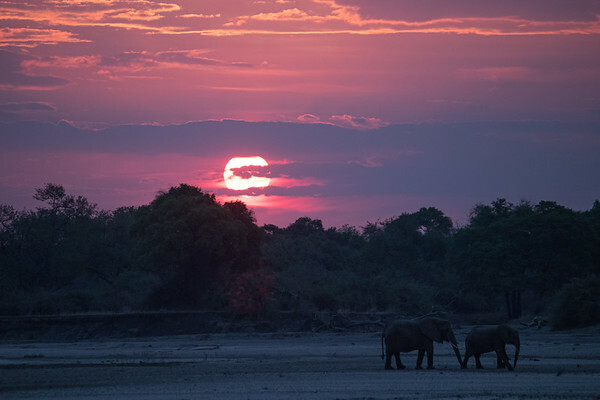 My wish included this scene of an elephant in a river bed or flat plain with the sunset in the background.